Brooke Trout is also a singer/songwriter known for her polyphonic blend of rock, blues and surf tones. Her most recent musical project Brill is an indie-alt-acoustic duet with former band mate and Flat Cat Radio host, singer/songwriter Dave Strauss. The group released their debut album Fish Out Of Water on CDBaby as well as on iTunes. The album’s first single “O Song” was featured on several programs including JVonD Radio in Boulder, CO, MuseBoat Radio in Las Vegas, NV, The Soupy Gato Show in The Netherlands with syndication in the UK and The Daily Dose on The Insomnia RadioNetwork. Fish Out Of Water has also been featured by Slacker Radio and Muzoic.com. You can check out music videos for Brill’s O Song and Shine on Youtube. Brooke Trout’s previous albums include the 2012 release Chasing Windmills with The Red Herring which was recorded at Musician’s Institute with Dan Hughley (Manley Laboratories) as well as at the historic 4th Street Recording studio in Santa Monica with Sejo Navajas (Cold Blue Rebels, The People’s Party) and Denise Barbarita (The Roots, Stevie Wonder). Trout’s sophmore album Networth (M-Pire Recording Studio, 2009) features mixing engineer Chuck Wilson (Andre 3000, Dr. Dre) and mastering by Grammy Award winner Nancy Matter (The Who, Ray Charles). Her debut album Bittersweet was recorded with Timon Marmex, creator of Rhythm Core Alpha (SoftEgg Studios, 2006). Chasing Windmills achieved radio play coast to coast, making playlists in major markets including WPPJ in Pittsburgh, PA, WRNR in Annapolis, MD, WRUW in Cleveland, OH, KUNM in Albuquerque, NM, WXDU in Durham, NC, WEFT in Champaign, IL and KMNR in Rolla, MO. The album also showed strong support from New York, charting for two weeks on WPNR in Utica, as well as getting play on WHRW in Bighamton, WMVL in Purchase and WCVM in Morrisville. The album also charted on WXIN in Providence, RI. Chasing Windmills also received great support in Massachusetts on the world famous WUML, getting airplay on a variety of the station’s programs including Moustache For Men, Junk & Stuff, Smith…Brings Only Nice Goods and the heralded program Live From the Fallout Shelter which has been featured in SPIN Magazine. The Red Herring made the Los Angeles indie rock charts for The Deli Magazine and were also finalists in the Eventful.com Battle of the Bands to perform at The Roxy Theatre on the historic Sunset Strip. Brooke Trout was nominated for All Access Magazine’s 2007 Music Award Show for best female guitarist in a rock, melodic blues category, best female guitarist in a pop, alternative category and best songwriter. 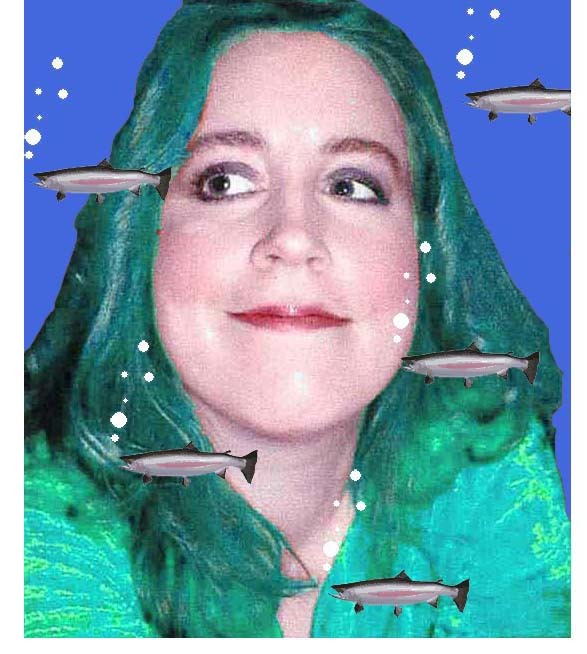 In 2008 Brooke Trout was made a Member of the Month for singer/songwriter organization Songsalive and included in Music Connection’s Annual Directory of Artists & Bands. Brill’s Fish Out Of Water was honored with the SongNet Award for 2016. Oct. 31, 09 Brooke Trout on The Soupy Gato Show, MI. Oct. 19, 07 – Brooke Trout on The Double D Radio Show, KCTY.org. Sept. 25, 07 – “Roller Coaster Lover” on The Soupy Gato Show, MI. Aug. 31, 07 – “Suburban Cocktail” on KEOL, OR. July 09, 07 – Bittersweet on Rogue Radio, ID. June 26, 07 – Brooke Trout station ID on The Soupy Gato Show, MI. June 25, 07 – “Roller Coaster Lover” on Albany’s 103.1 FM, NY. May 22, 07 – “Steel” on The Soupy Gato Show, MI. Mar. 20, 07 – “Prince Harming” on Nette Radio, TX. Jan. 24, 07 – “Suburban Cocktail” on Nette Radio, TX. Dec. 20, 06 – “Winter” on The Soupy Gato Show, MI.